This solid silver milestone necklace holds a silver ring or gold filled ring to mark every year of a special milestone. 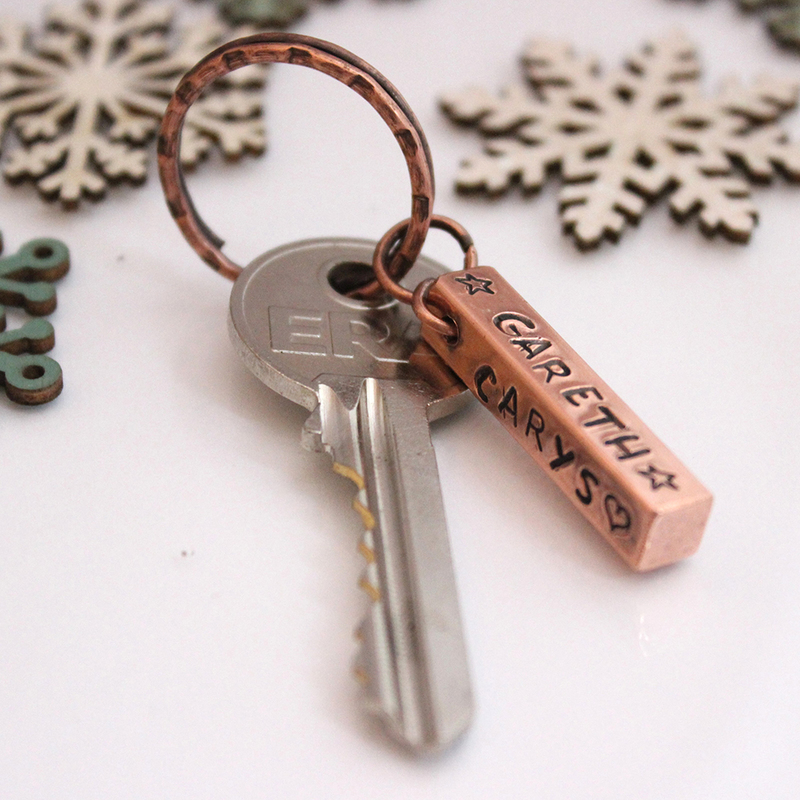 We all love to mark a special Milestone with a special gift to mark the occasion. 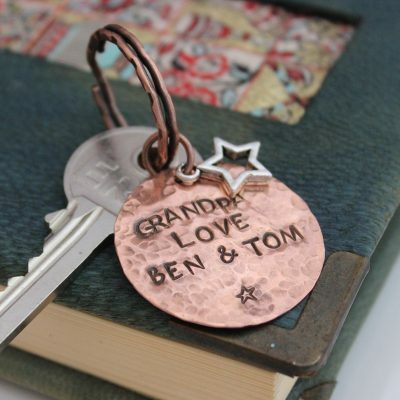 The Silver Milestone Jewellery Range is a perfect way to give a unique handcrafted personalised silver jewellery gift to somebody you love with a milestone birthday or who is marking a milestone occasion. Be it a 21st or 30th Birthday, a marathon run or perhaps 5, 15 or 25 years married. 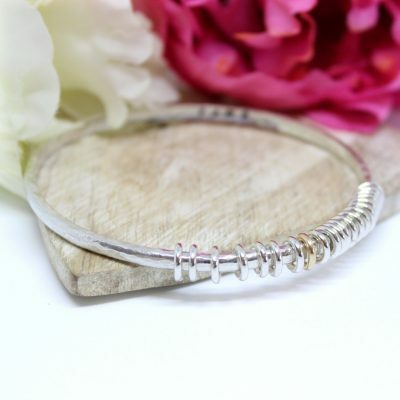 Silver Milestone jewellery is a gorgeous way to mark lots of special occasions. The Silver Milestone Necklace is crafted from a solid silver and fashioned into an organic circle, before being gently hammered to create some extra texture and sparkle. Each silver circle will hold your choice of sterling silver rings. Each decade on your silver milestone necklace is marked with a solid silver ring, you can choose the number of rings on your milestone necklace from the options, or if you prefer message us with a different combination. There is an option to replace the silver rings with gold filled rings. 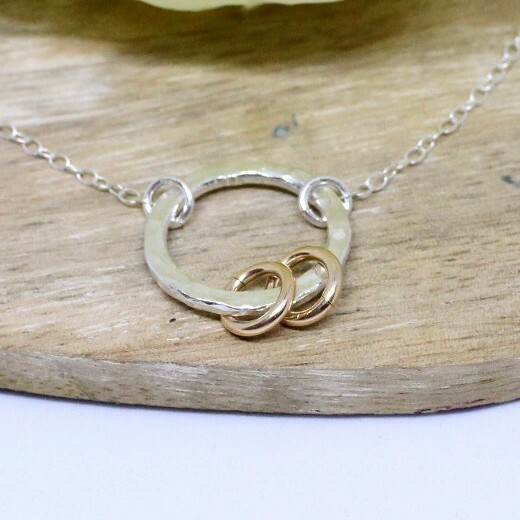 So you could have 2 silver & 1 gold to represent a 21st birthday on your milestone necklace. 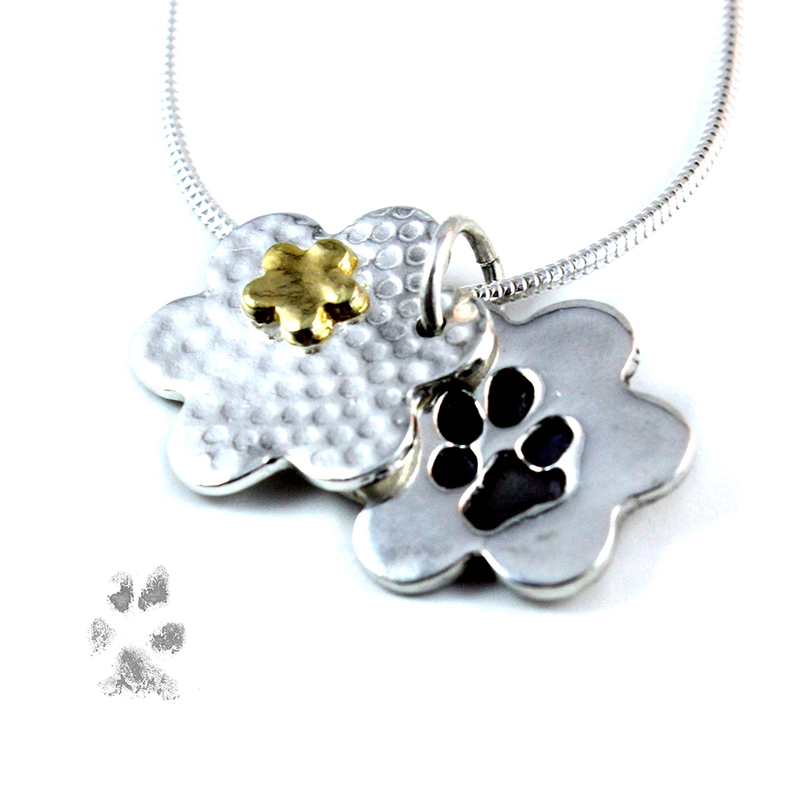 Your personalised silver milestone necklace price is inclusive of 3 silver rings. 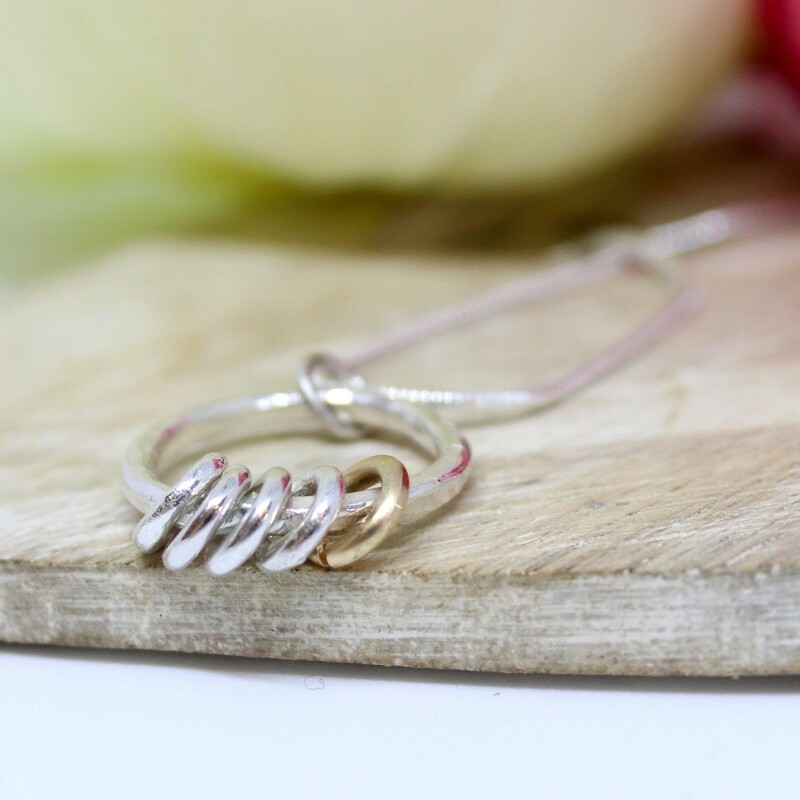 Each silver ring added is £1 and each gold replacement an additional £3. You necklace will measure approximately 18″ long, if you require a shorter or longer length please specify in the comments box. Solid gold is obviously quite expensive! We are all familiar with gold plating, where a very thin layer of gold is applied to a metal, which will in time rub or flake off. Gold plated is not high enough quality to use for the jewellery I make. Necklace Size & Design: You have a choice of either 16 or 18″ necklace and the standard chain is a fine trace chain. You can opt for a 1mm snake chain if you wish.